Michal Abramovitz is an inspiring artist who is rising to global prominence. Owner of Michal-Art Studio and Boutique of Hanalei, Michal captures the vibrant essence of the Hawaiian Islands in every item she creates. 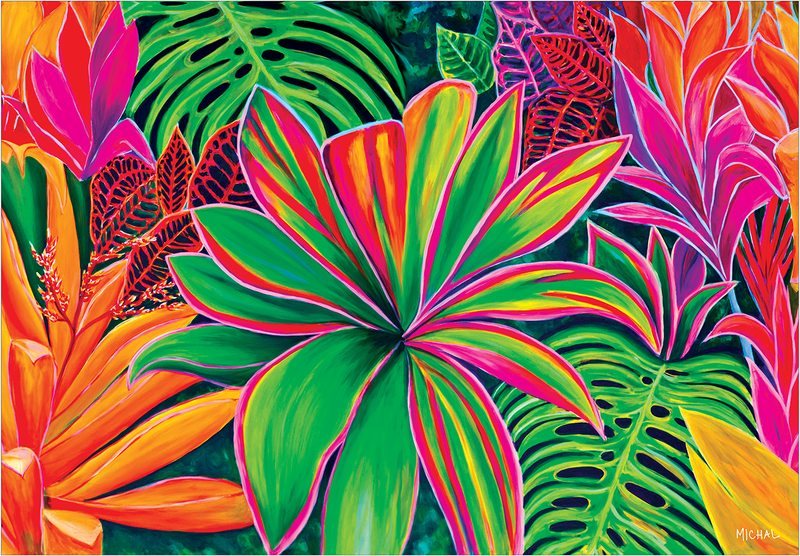 With a unique and all original style, crystal clear imagery, and pure talent, she transforms the Islands’ varied complexion of rich hues into living color on canvas, then translates her designs onto fabulous swimwear, silky pareos, lush beach towels, and more. Though her love of painting is priority, incorporating fashion and home designs have been a welcome addition to Michal’s line of favorites. Combined with her ‘world of color’ and her friendly, energetic persona, it is no wonder tourists and repeat local patrons are drawn to Michal’s lovely boutique. Located at 4489 Aku Road in Hanalei.